Connecting people to a place where they can share stories, ask questions, and learn more about different issues related with the Cochlear Implant, Sign Language, and the Deaf community. I started looking at cochlear implant options for my daughter when she was three years old. My daughter was born deaf and has a bilateral hearing loss. Her hearing loss was detected when she was born, she failed the initial hearing screening that was performed at the hospital. I had to take her back to the hospital for a repeat hearing screening about two weeks after we left the hospital, once again she failed the hearing screening. Then she was referred to the ENT to determine if her hearing loss was caused by fluid in her ears. Her ears were normal and they weren't being blocked by fluids. So the next step was an Auditory Brainstem Response Test (ABR). She was just a few weeks old when these were performed, she had to sleep during the test so that they could get an accurate result. After several failed tests, it was determined that she was in fact deaf. Cochlear Implants and Music: Your Thoughts? Click on English subtitles and enjoy! Deaf Community and Cochlear Implants- new book! The cochlear implant debate has changed, as evidenced in this cogent collection that presents 13 chapters by 20 experts, including several who communicate through sign language but also utilize cochlear implants. The impetus for this change stems from recognition that both visual and aural input can enhance the education of deaf children. Divided into four sections, Cochlear Implants: Evolving Perspectives first focuses on the impact of implants in the Deaf community. 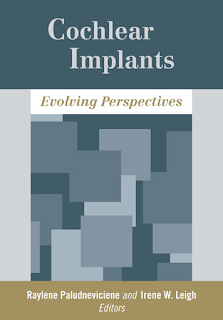 Chapters in this section examine the issues driving the cochlear implant debate, the ethics of genetic engineering, experiences of implanted adult deaf signers, reflections of deaf mothers who have had their children implanted, and the effects of implants on deaf identity. The second section delves into the mechanics of bimodal processing, including listening strategies that can benefit signing children with cochlear implants. The third section surveys combined aural/visual educational approaches, such as teaching implanted children in an ASL/English bilingual classroom, and applying auditory rehabilitation to a signed communication context. The final section challenges readers to reframe the debate first by exploring sensory politics, then by envisioning an emerging world that requires the Deaf community to connect with it to secure its future. With this information, readers will reach their own conclusions about cochlear implants and auditory and visual approaches to the mastery of both spoken and signed languages. 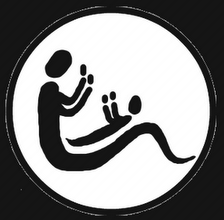 There are few studies from deaf families’ perspectives on deaf children with cochlear implants. The purpose of the study is to explore deaf families’ beliefs, perspectives and attitudes about language development in ASL and English. This brings a unique aspect to the research field in gaining an understanding how deaf children with cochlear implant who have deaf parents develop spoken and signed languages. This study also may help improve educational practices with deaf children with cochlear implants. Who may participate in the study? Deaf families in North America who have children with cochlear implants are encouraged to participate in the study. At least one parent or a caregiver who is deaf in the family is eligible to participate. Their language use may range from being fully oral to being bilingual in American Sign Language and English. I am always looking for links to reliable, informative websites regarding educational research for D/deaf kids. When I find them, I pass them on. Here is one from RIT and Marc Marschart. She took the BKB-SIN test, which tests signal to noise ratio compared to "normal" hearing. In this case, it compares how loud the background noise is for a hearing person to get 50% correct answers, and compares it to how loud the background noise needs to be for the person with the hearing loss to get 50% correct. Here is an explaination from a BKB-SIN users manual. "If a normal-hearing subject requires a +2 dB SNR to obtain 50% correct on a speech-in-noise test, and a hearing-impaired subject requires a +8 dB SNR to obtain 50% correct on the same test, the SNR loss for the hearing impaired subject is 6 dB." Her SNR for both ears tested together was 3.5 dB. If I understand this test, that means that she needs 3.5 dB higher signal to noise ratio than kids her age with "normal" hearing in order to get the same amount of understanding of the verbal information given. One of my biggest frustrations when doing my research on ALL THINGS DEAF was the vast amount of myths I encountered. If the people and groups giving me information would have just limited themselves to telling me what they did well and why, it would have been fine. But they could not seem to stop themselves from also telling me what "the other side" did poorly. And therein lay the foundation of MYTHS. I have to tell you, those spouting the words "AG BAD" really irritated me. They didn't help their cause at all. Badmouthing differing options cast them in a very poor light. Those who tried to use the 4TH GRADE READING LEVEL to try and promote their agenda got me angry as well. I encountered those who told me that kids with CIs could not take baths because they would have WIRES STICKING OUT OF THEIR HEADS. I was also told that my child would never learn language unless (take your pick) WE LEFT OUT SIGN LANGUAGE AND WENT WITH AVT/WE WENT STRICTLY ASL WITH NO ORAL LANGUAGE. The myth I dislike the most is the one where people told me that we should wait to have our daughter implanted because she should have a say in it. We just needed to wait until she got older so she could decide for herself. Any parents who buy into this myth are deluding themselves. The younger the child is at the time of the implant, the easier it is for that child to learn to process the signals into meaningful sound. The older they are, the harder it is. If the parents wait until the child is old enough to decide, chances are good that the child will not be able to make very good progress turning those signals into meaningful sound. The simple act of waiting itself makes the decision. Whether they want to or not, the parent does decide. 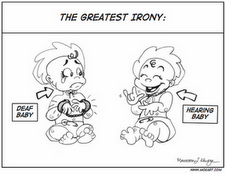 The only exception is if the child's hearing loss is not profound, and they have good use of hearing aids. In that case, they are not even eligible for implants so the point is moot. I have encountered myths both from the ASL Deaf Community, and the oral deaf. All these myths produce is anger and disappointment in the families who are new to these issues, trying to raise their baby in this new-to-them world of hearing loss. They lose trust in the people giving them the information, and they are very likely to reject those they find they cannot trust. And that is probably the saddest outcome of all. What myths did you encounter? Want to add a link to our blogroll? All submissions by ASL-CI users and parents of ASL-CI children are welcome!